Marketing automation has been the fastest growing segment of cloud computing over the past five years. What makes it so popular? Marketing automation is a technology solution that streamlines, automates and measures marketing activities. This ultimately results in increased operational efficiency and the ability to grow revenue faster. 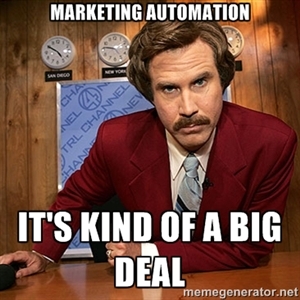 There are now dozens of providers of marketing automation platforms, each with a unique offering. This post will outline the main features you can expect to find in any marketing automation platform. Marketing teams can easily manage prospect lists, contacts, leads, campaigns and more. In-depth segmentation enables targeted profiling and campaign personalization. E-mail capabilities include personalization and drip marketing, where dynamic content in emails changes based on the recipient’s interactions with your site and previous emails. Social media integration into marketing automation comes in different forms, but can include monitoring, tracking, posting and sharing. The ability to easily create landing pages and web forms without depending on IT or web development is crucial. Landing pages can be updated more frequently and specifically targeted when changing them isn’t a huge ordeal. Deepen the relationship with each prospect over time through lead nurturing while they progress through the sales and marketing funnel. Utilize lead scoring to determine prospect’s level of interest and in turn deliver a qualified lead to the sales team. A wealth of insights and data are available through reporting and dashboard features in marketing automation systems. Marketing staff can understand what works, what doesn’t, and why, so they can make better, more informed decisions regarding future initiatives. The ability to integrate marketing automation platforms with existing CRM systems allows for the alignment of marketing and sales. Efficiencies and greater effectiveness can be achieved by both marketing and sales using the same data set.